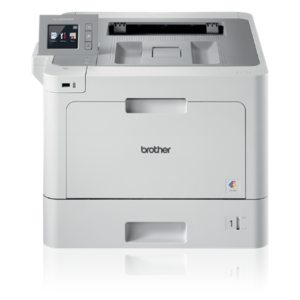 The Brother MFC-L9570CDW color laser All-in-One is an excellent choice for mid-sized workgroups with demanding print volumes that need a low total cost of ownership and reliable, business quality output. In-box 6,500-page toner cartridges offer built-in value, and ultra high-yield 9,000-page replacement toner cartridges offer low cost output. 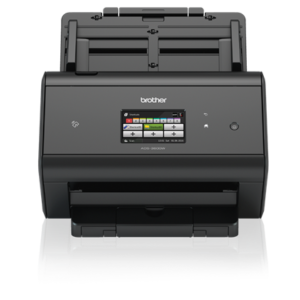 This high-performance printer helps to increase your productivity with print speeds up to 33ppm, and scan speeds for double-sided pages up to 104ipm. Scalable for virtually any office, add either optional trays to increase capacity to 1,300 sheets or transform this printer into a floor-standing model with the tower tray option (520 sheets x 4 trays). Advanced security features offer network user authentication and help limit document and device access. Low total cost of ownership. 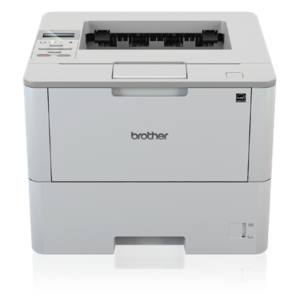 Includes Brother Genuine super high-yield 6,500-page cartridges for built-in value. For even lower cost printing, use Brother Genuine ultra high-yield 9,000-page replacement cartridges. Advanced security features. Includes an integrated NFC card reader for easy badge authentication and Active Directory support for network user authentication. 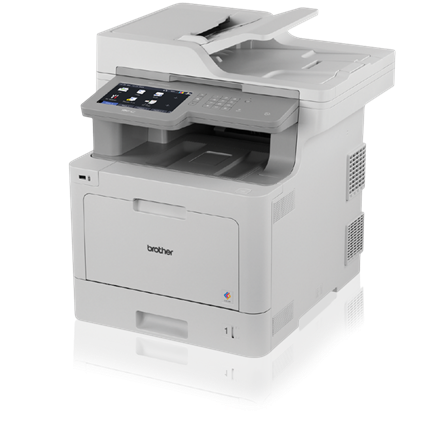 Advanced features help protect against unauthorized device access and help control costs by restricting printing on a per user or group basis. 7″ color Touchscreen display. Offers easy menu navigation and creation of up to 64 customized shortcuts. 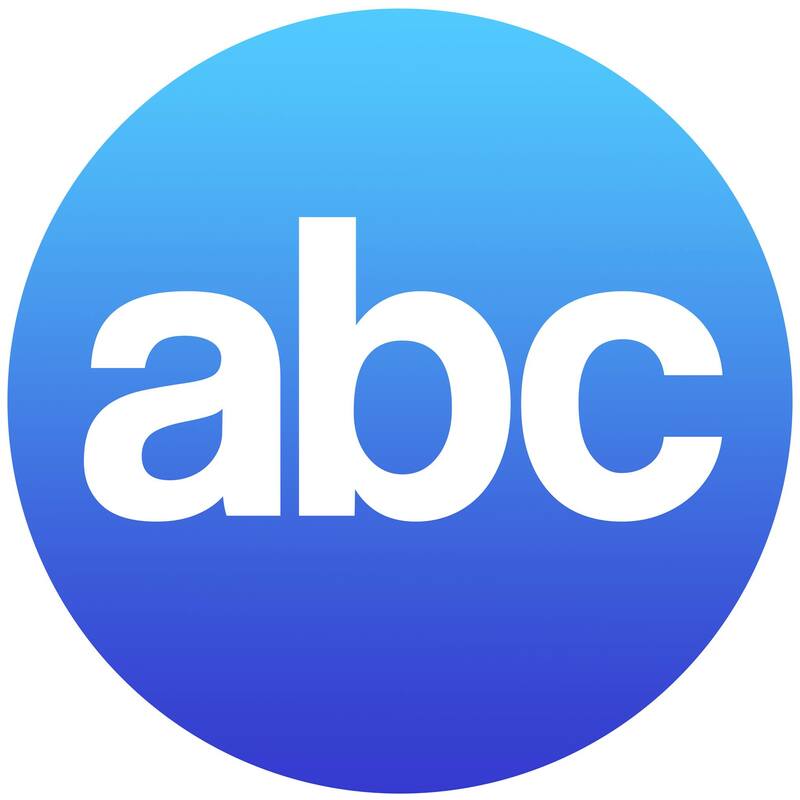 Plus, scan to popular business cloud services directly from the Touchscreen including: EVERNOTE®, DROPBOX, GOOGLE DRIVE™, ONENOTE, and more. Scalable paper handling. A 250-sheet capacity paper tray is adjustable for letter or legal size paper along with a 50-sheet capacity multi-purpose tray for printing letterhead and alternative media. For additional capacity, optional paper trays are available in 250-sheet or 500-sheet capacities – up to 1,300 sheets total capacity. Alternatively, a tower tray with stabilizer option includes four 520-sheet trays for a total input capacity of 2,380 sheets. High-speed scanning to a wide variety of destinations. 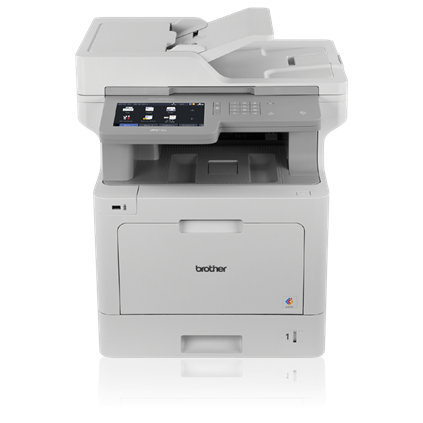 Fastest in class scan speeds via an 80-page capacity auto document feeder for single-sided pages up to 52ipm, and double-sided pages up to 104ipm. Scan to multiple destinations including E-mail, SharePoint, popular business cloud services, SSH Server (SFTP) and more. 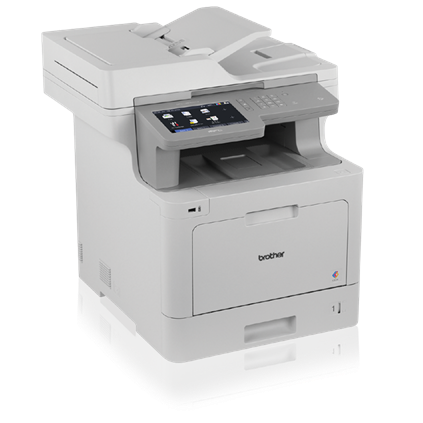 Convenient mobile device printing and scanning. Print from your mobile device via: AirPrint®, Google Cloud Print™ 2.0, Mopria®, Brother iPrint&Scan, Cortado Workplace, Wi-Fi Direct®, and NFC. 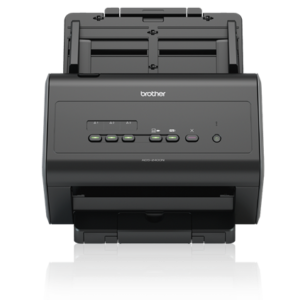 Plus, wirelessly scan to your mobile device with the Brother iPrint&Scan app.